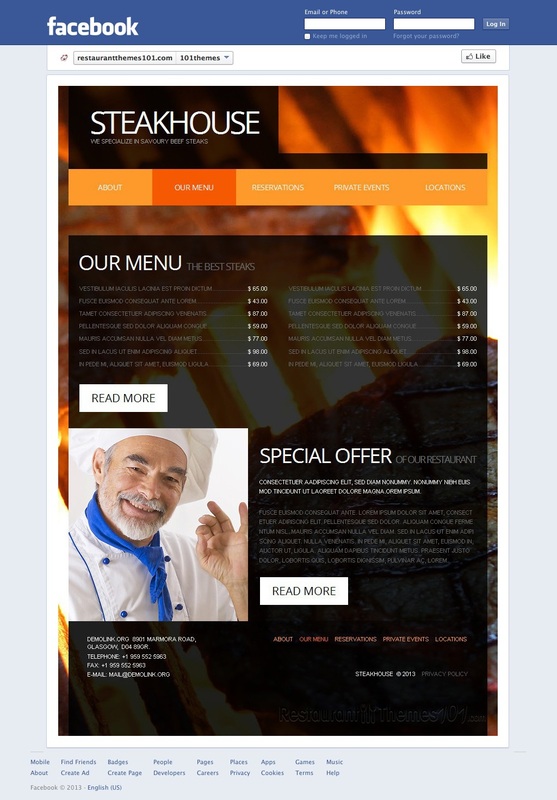 SteakHouse is a great looking Facebook restaurant page template created by Mercury and featured at Template Monster. If you want your Facebook page to look different and unique, and drag a lot of attention your way, this might be the right choice for you. This template basically represents a full website placed within your Facebook page. A huge, great looking slider spreads across the whole front page, creating a great spot for advertising your food. This is a great way of showcasing quality photos of your delicacies. Four sections are included in the template which gives you tons of space for your content, and it will all be organized and very compact. 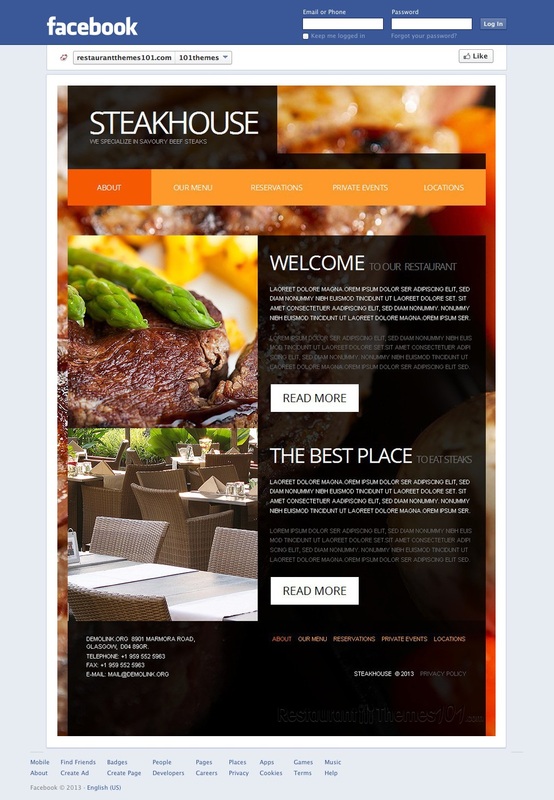 The first, “about” section is there for you to introduce your guests to your restaurant as detailed as you want to. 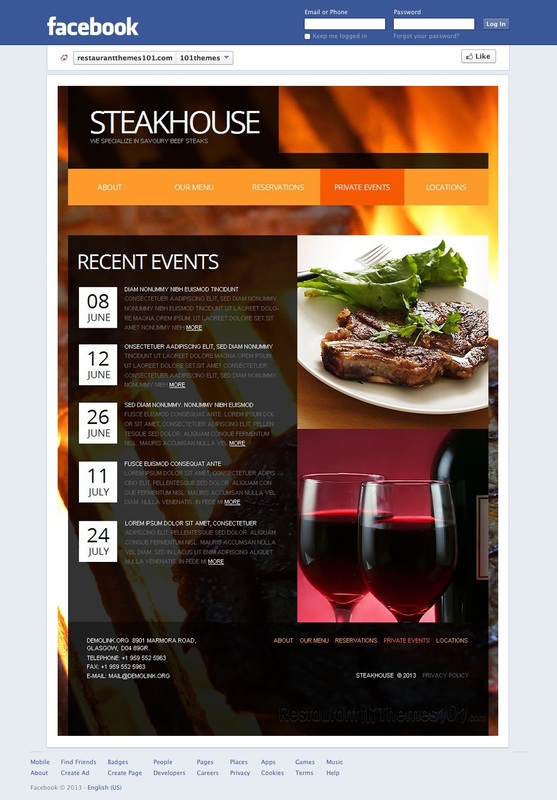 You will be able to add nice photos to your posts and show people just how great the ambient of your restaurant is. The second section is reserved for your menu. 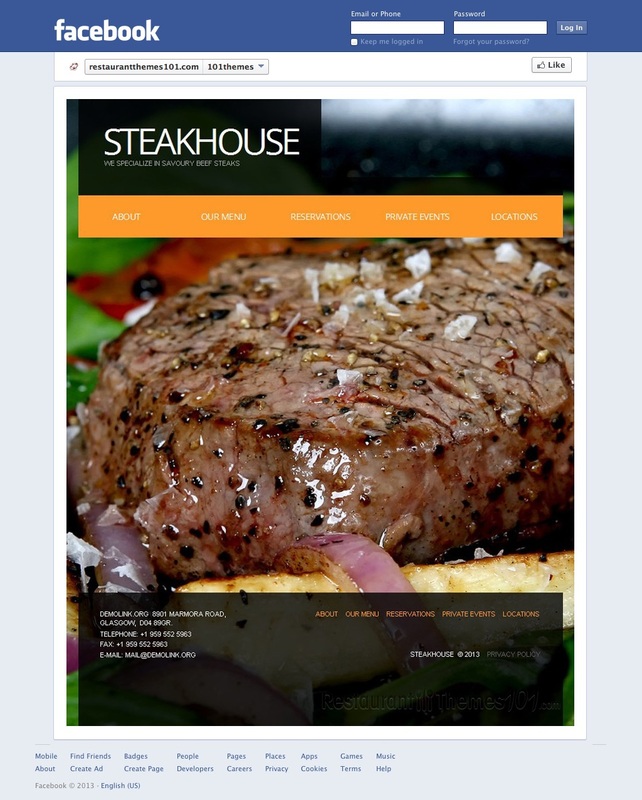 You will be able to list all of your menu items here along with prices, and you will even be able to present your special offers and add photos to go with it. 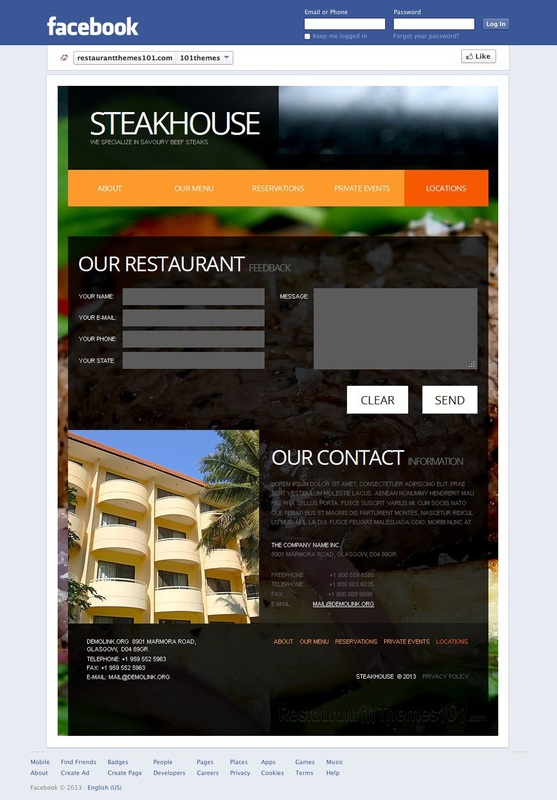 In case your visitors want to book a table at your restaurant, they no longer need to call you on the phone to do so. 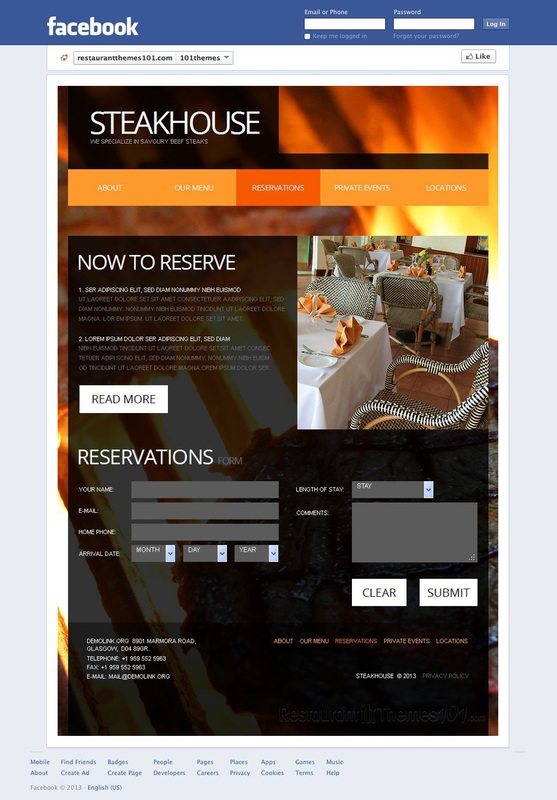 This template features a great reservation form which is easy to fill in, and your guests will be able to name all the details about their reservation. The form works great, and looks even better. A section for your events is featured, and it allows you to announce any upcoming events properly, along with photos, detailed descriptions and dates. Your detailed contact information can be places in the locations area, and there is also a simple, effective contact form included for your visitors to be able to email you right there on your Facebook page.